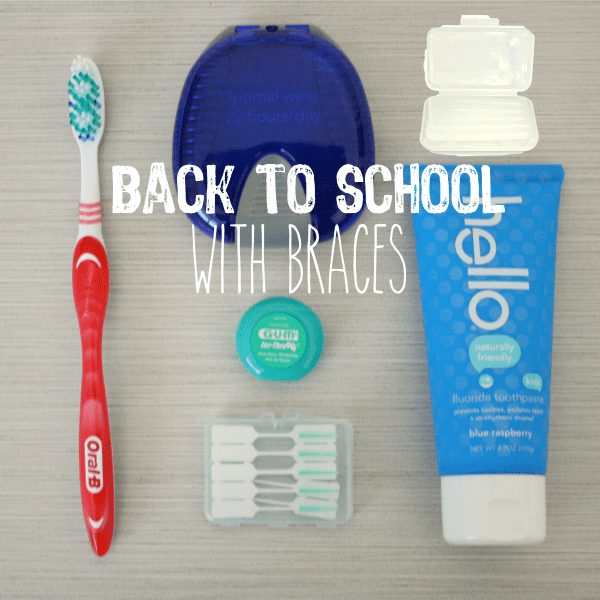 Three Tips for Back To School With Braces! Encino Dental Studio Blog Three Tips for Back To School With Braces! Back to school is coming soon! You’ve gotten the supplies: notebooks, pens, pencils and paper. You’ve even been to the doctor for a physical. But have you taken your child to the dentist? The teenage years are the time many kids start getting braces, but with the pressures of school work and extra-curriculars, keeping them clean and maintained can be challenging. Pack for Hygiene: Make sure she has the hygiene essentials with her: toothbrush, toothpaste, floss picks, antimicrobial mouthwash. Being able to brush and floss after lunch will help her have fresh breath and clean teeth. You can’t make her use them at school, of course, but making sure that she has them available will help set her up for success. Pack Braces Supplies: When indicated, rubber bands help the braces work quicker. Having a backup supply ensures they can keep their treatment up if one breaks! Also pack wax in case a wire snaps or a bracket pops off. Pack A Lunch: Does it feel like your teenager could eat you out of house and home? Pack lunches that are nutrient dense, filling, and kind to their teeth. You’ll want to leave out sugary treats, obviously, but also some of the harder foods like carrots, which can pop brackets off, or apples, which are made for biting right into (unless cut up into small pieces.) Include foods that are high in protein to keep them full longer, and keep them from being tempted by sticky candies or hard snacks. With careful planning, back to school doesn’t have to be stressful for you or your child. An even less stressful option for orthodontics is Invisalign. Check with Dr. Amir Jamsheed to find out if Invisalign is right for your teen!